PS4 players can deck out their Home screen with a free new theme from the crew at Media Molecule. March 8 is a day known around the globe as International Women's Day. Sometimes referred to as the United Nations Day for Women's Rights and International Peace, the day is meant to both commemorate the movement for women's rights as well as celebrate the accomplishments of women throughout history. Naturally, everyone has their own way of celebrating, and Sony in particular is offering fans the chance to download a new PlayStation 4 theme designed by Media Molecule environment artist Maja-Lisa Kehlet Hansen. The theme, which is free to download via the PlayStation Store, represents some of the more iconic women across the PS4's biggest hits. 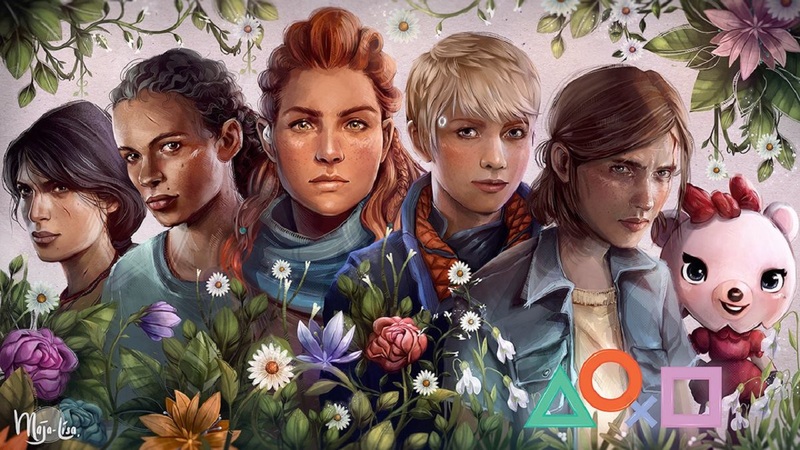 Aloy from Horizon: Zero Dawn is sitting front and center alongside Detroit: Become Human's Kara, with Chloe and Nadine from Uncharted and Ellie from The Last of Us flanking them on either side. The crew is also rounded out by the adorable pink teddy bear heroine from Media Molecule's upcoming title Dreams. The free theme went live earlier today for EU-region players, and it should be up now for North American PlayStation 4 owners. Game fans can check the theme out by loading up the PlayStation Store or by heading over to the International Women's Day 2018 Theme page over on the PlayStation Store website. The gender gap in games (that isn't even so great anymore) is largely do to advertising and expectations. Games and computers have classically been for "boys". This is why in 2018 I get really pissed when there's an ad targeted toward gamers with 4+ people in it that are all dudes.